Dear friend of New York Aikikai,We are writing from New York with some good news about the New York Aikikai. 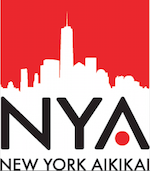 In 2015, the Board of Directors at New York Aikikai decided to create an Endowment Fund. This Endowment Fund will be a permanent source of support for the growth and development of the New York Aikikai and its programs. There has been a wonderful response to the initial solicitation for this fund. Thank you to those of you who have become our founding donors. We are writing to you now in order to ensure that all members and friends from around the world have the opportunity to participate in this important effort. Yamada Sensei’s work during the past 50+ years has resulted in an extraordinary institution, the New York Aikikai. Through his love of and dedication to aikido and its study, Sensei has touched and inspired many people at home in New York as well as across the United States and abroad. 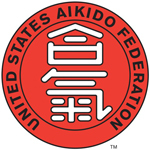 The New York Aikikai’s dojo, which also serves as the headquarters for the United States Aikido Federation, is a place where aikidoka from around the globe immerse themselves in the study of aikido. It is our hope that through this Fund, we will help the NYA continue realizing Yamada Sensei’s vision and ensure his legacy will be with us for years to come. The New York Aikikai is a special community that could not exist without the efforts of the many members who contribute in significant ways. In turn, the school provides a meaningful experience by growing and evolving. Whether developing the kids programs, performing community outreach, creating scholarships for inner city children, or special classes for beginners and advance practitioners, our aim is to thrive. In order to maintain both the high level of training and the spirit of community, it has been important for Sensei that the dojo continues to be open and accessible to as many members and visitors as possible. The school strives to keep the monthly dues and mat fees low, even in the face of mounting costs. As you can imagine, the expenses of maintaining a building and a school in Manhattan are high and only increase over time. To ensure our school’s economic sustainability, we humbly request that you consider a donation to the New York Aikikai Endowment Fund. Making a gift today, your contribution will help keep the New York Aikikai the vibrant place we treasure. Any amount counts. (Donate here) Or if you prefer to make a donation by check, please make it out to NY Aikikai (Memo: Endowment) and send it to the address found below. In order to help with the effort of raising funds for an endowment, the Board of New York Aikikai has formed the Endowment Advisory Group comprised of dojo members. Should you have any questions or concerns about the Endowment, this group or any member of the Board should be able to help you. The Endowment was established out of love and appreciation for a school and community that continues to enrich and inspire us. To all aikidoka, past and present, friends of the NYA worldwide, if the teachings of Yamada Sensei and the New York Aikikai have had an impact on your life, join us and donate today. The New York Aikikai is a Nonprofit Organization, (under the 501(c)(3) terms of the Internal Revenue Code) – all contributions to the Fund are 100% tax-deductible. Perhaps your workplace has a matching program. (Click for information about matching programs). 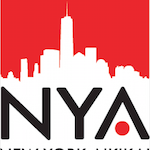 You can also consider the New York Aikikai Endowment Fund in your estate planning. (Click here for info). Of course, we will generate a letter for your 2015 tax return.